Spectacular photography, a wedding ceremony to remember, and beautiful locations are what you get when you book a wedding at the Eldorado Canyon Ghost Town. It is one of the most popular locations for beautiful weddings and incredible photography. Set in the midst of nature with a backdrop of mountains and desert, this secluded location creates an ambiance of romance and bliss for your big day. 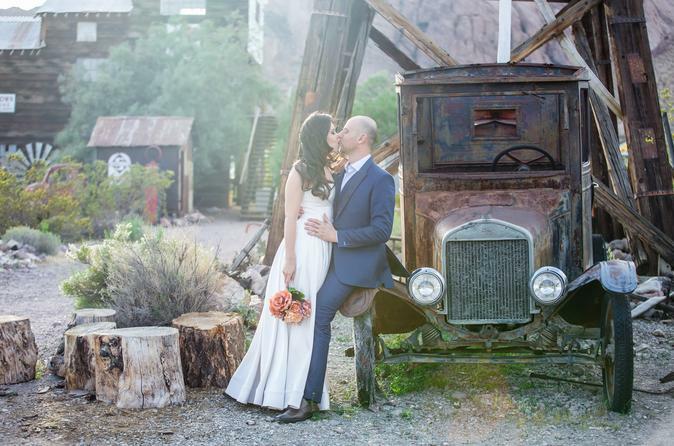 The Ghost Town is filled with vintage structures and artifacts, perfect for your first photos as a married couple. Pose in front of the rustic fence or in the bed of an antique vintage truck. Dan Weddings.